Emergency physician Ronn Berrol, MD, at Alta Bates Summit Hospital in Oakland checks electronic health records to map out treatment for a patient needing complex care. Photo: Eric Kayne. There’s no question that technology has been a boon to the health care system. When planned and implemented properly, technology can close gaps in care coordination, increase access to care, and reduce human errors in clinics, labs, and pharmacies. But can these improvements sometimes come at a cost to patients and their providers? 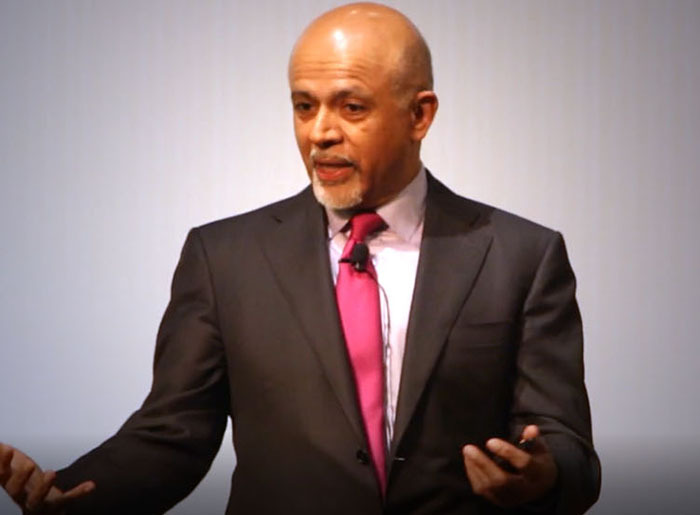 Stanford University School of Medicine Professor Abraham Verghese wonders in The New York Times Magazine whether technology gets in the way of doctors providing the personal touch patients need. He cites research that found that for every hour physicians spend with patients, they devote nearly two hours to electronic health records — a time allocation that he believes may contribute to increasing physician burnout. Carl Bouthillette, MBA, a senior program investment officer in the California Health Care Foundation’s Health Innovation Fund, sees health technology not as an end, but as a means to achieve health care’s Triple Aim — reducing costs, improving patient and provider experiences, and raising the quality of care. When done well, technology-enabled solutions should help providers do their jobs better while increasing patients’ access to care. 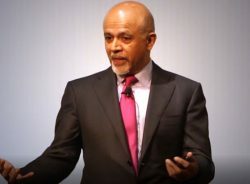 Stanford University School of Medicine Professor Abraham Verghese. Telehealth is also a bright light for community health clinics that provide Medi-Cal enrollees with access to specialty care. In the rural community of Grass Valley, Jill Hill experienced a prolonged depression after a series of negative life events. She hadn’t been able to get counseling, largely due to the shortage of mental health professionals in the area. But at Chapa-De Indian Health, where Jill is a patient, she is able to see a therapist through weekly telehealth sessions — and she always gets a hug from her telehealth coordinator afterwards. Watch Jill’s story. Finally, in a “not-at-all what what you’d expect” finding, an article argues that human interaction sometimes actually gets in the way of patients getting the care they need. In a New Yorker piece that is equal parts awe-inspiring and alarming, Allison J. Pugh writes about Timothy W. Bickmore, PhD, a computer scientist at Northeastern University who has developed artificial intelligence (AI) programs to help low-income patients. The programs provide a virtual nurse, a palliative care consultant, and more. The article makes the case that, in some situations, the indifferent care of AI can be a benefit to patients. Bickmore conducted a user study of the virtual nurse at Boston Medical Center and found that 74% of patients ready to be released from the hospital preferred to receive discharge information from the virtual nurse over their doctor or nurse. Among the 42% of study participants with low health literacy (i.e., limited ability to perform the basic reading and numerical tasks needed to navigate the health care system), the virtual nurse was particularly helpful. Bickmore says that patients with low health literacy need about one hour with health care providers to digest complex discharge information, but human providers spend an average of seven minutes on the task. With a virtual nurse, patients could review discharge information and ask questions at their own pace, without feeling judged or rushed. It’s worth noting that there were only 19 participants in Bickmore’s study, but the themes of patient empowerment and satisfaction that emerged support the complementary roles of technology and the human touch in clinical care. Bickmore is also studying the use of AI programs to increase the number of end-of-life discussions among older adults and improve access to culturally competent care for minority patients. Email or tweet your story suggestions to me with #EssentialCoverage, and I promise I’ll respond — no AI to see here!